Forecast: Some rain and isolated showers in the afternoon. Soft breezes over parks, lakes and forests, reaching wind speeds of 40kmh. Aeronautical Conditions: Cloudy skies, some clouds at 800-100 meters, good visibility. Cornelio Gauna (married with one 19-year-old daughter, 10 years as director of the local airport) drove his red Valiant to work as usual. 4 kilometers from that location, Juan Giss (married, 1 son, age 46) a former tank driver for the German army during WWII, said farewell to his wife and headed into the city to open his clockwork business. Carmen (a receptionist with Aerolíneas) consulted the AVRO's arrival time in the afternoon and Duilio Salvatore (43, married, 4 children, resident of Bahia) a correspondent for Telenoche in Bariloche, analyzed the best way to film the arrival of an important dignitary during the afternoon. The time was currently ten a.m. In Austral, traffic dispatcher Margaret Clarke requested information the arrival of an airliner belonging to her company (One-Eleven) flown by commanders Fernandez and Watt. A similar task was performed by the cargo forwarder, Jorge Acosta. Neither was aware of what would happen to their neighbor hours later. Walter Furst (married, 2 children), the airport's tower controller that morning, did not notice anything odd. He almost surely exchanged a few words with radio operators Sigfrido Cortondo and Roberto Medina (44, married, 3 children) who were there on that day. In the city, only a few kilometers from the airport, Hector Sabato, director of Bariloche's Channel 3, was calculating his arrival time to the airport to welcome an important dignitary. Moreover, Francisco Caló, the stations technical director, head of the radiotelegram sector, was leaving his post at the state office and headed for the upper floor of the building, facing Lake Nahuel Huapi, for lunch. It was a sunless day, and a suspicious calm hung in the air. Yet it went unnoticed by Pedro Garrafa, 49, owner of the airport lounge. Egon Rost, an employee of the facility, was thinking about going home and engaging in his secret passion: painting. Without reflecting on deeper matters, Maggie - a tyro skier - met her friends at the Italia Hotel's coffee shop. Dickey Gurrow, 30, proprietor of the "La Vaca Inn" grill, passed by. He also owned a local paint company, and was meeting the owner of the Hotel Parque. Mr. Eistman awaited the arrival of the AVRO, inbound from Buenos Aires with Cmdr. Emilio Loza at the helm, at 13:15 hours. Demetrio Cottescu (a Romanian pilot living in Bariloche) was inspecting his own aircraft and arranged some tourist flights by phone. Everything was normal, Walter Furst told "2001". He was working with equipment from the Aerolineas and Austral airlines. When the AVRO appeared, the commander asked me, with certain exasperation, why I wasn't advising him of local traffic at the time. I replied that there was no traffic. The pilot said there was a "large" machine in front of him at the head of the runway. I looked up and there it was. It was there. A large silent airplane, as if ready to land. I called it on all the frequencies employed and it did not answer. I ordered the AVRO to remain alert, due to the unknown origin and type of airliner. The Austral One-Eleven was order to maintain its altitude due to the unknown intentions of the "mystery plane". The intruder flew sideways. It was comparable to a Caravelle or a Comet, but with a thinner body, large, stubby wings and silver in color. It was a conventional aircraft of some sort, not a UFO, and had no windows. It flew at some 200-300 kmh. It continued to the end of the runway. Displaying extraordinary maneuverability, it headed for the nearby hills and vanished toward the lake. It appeared minutes later, showing its profile to the airport, following the same path to make its departure. When it got to the end of runway 28, it made a nearly 360 degree turn and left. That's it. Many saw it. Yes, it was an airplane. "Was there anyone else at that moment?" wondered the journalist. The airport was packed, and employees strove to maintain order. Roberto Medina was inside an AVRO on the runway and Hector Sabato ahd arrived in a hurry. "Yes," ventured Carmen from Aerolineas Argentinas, "I saw it. I was near the platform and they told me there was an aircraft. They said it was a "flying saucer". I went to the platform's entrance and looked at the runway. It was a conventional-looking machine; it made no noise and had no windows along the fuselage or in the cockpit. At first I thought it was a flying saucer, then I realized it wasn't." "So what was it then? Did everyone who saw it share the same opinion?" "It was a stranger craft than we're used to seeing," said Garrafa. "its color was dark grey, silent. It was followed by an AVRO, and the mystery craft flew slowly. I paid it no mind." "Yes, I gave it little importance," Hector Sabato declared emphatically. "I was in the city and on my way to the airport. I heard the noise of a jet and looked toward the lake. I saw it without really seeing it. It was followed by an AVRO. I cursed myself for arriving late. When I reached the airport I learned of the strange apparition." Witnesses were emerging. It wasn't easy to enter the office of the Bariloche airport director. Convincing him of the seriousness of our mission, exhausting his kindness and reaching conclusions proved to be an effort. But it was necessary to know, to follow the leads. Who saw it in the city? "That day," stated Francisco Caló, "I left my office at the lower floor of the post office at around 13:10 hours and went upstairs to my residence. I had finished lunch and my wife and I were watching a police boat on its way to rescue some youngsters engaged in reckless boating. I live in the city center, facing the lake, and my three dining room windows face it. When the boat approached the kids, that's when I saw it. I remember the clouds were low and it was drizzling. There were large waves and I looked skyward. The machine looked like a Piper, at first. But when it turned, I saw it wasn’t. "This is the Caravelle," I thought. "But when it made a tight turn, I saw it was wrong. I heard a buzz and thought, "must be the AVRO." It wasn't. When it made a U-turn, returning whence it came, I could see it clearly at a distance of 500 meters. it looked like a dolphin in profile, with two engines, one on each wing, close to the fuselage. Very low speed and altitude, that's what I noticed. The fuselage appeared to be "hanging" from the wings. It vanished toward the airport. The rudder looked like that of a Guarani and was painted blue, I think, with a little yellow triangle. It made tight turns (90 degrees and 360 degrees) and had a Concorde-type nose and fuselage." His descriptions coincided with those of Margaret Clarke, although she believes it had "delta" wings. Acosta insists that the wings were trapezoidal and very wide. The fact of the matter is that they were all there, and they all had their own impression. Duilio Salvatore, who saw it on his way to the airport, thought it was an utterly silent machine, flying slowly with the characteristics described by the other witnesses. A characteristic that matches what was seen by Juan Giss, who was able to see the unidentified plane as he had lunch. "At 13:00 hours I was in my kitchen, eating. I heard an odd sound, similar to that of an aircraft in a power dive. I went to the garden and the clouds were very low, some 250 meters, and I waited for it to appear. It emerged from the clouds, turning at the speed of a DC-4, perhaps slower. I saw an "airplane". To me, it was an AVRO type engine, turboprop, but with an extraordinary maneuverability, some 150 meters distant, over the lake. It was extraordinarily stable. It later headed off toward the airport. A friend of mine also saw it. Engineer Reposini, my neighbor. He agrees with me." Were there others? It was hard to find out. A blanket of silence draped any further information. The communiqué from the Argentinean Air Force was laconic. Research is underway. It was necessary to dig deeper, get to the core, find the official word. We already had the image of what the vehicle was like, and its characteristics, maneuverability, and the minute-by-minute reconstruction of its flight path. It was seen, and close at hand. It was heard and not heard. But the stories go beyond that. Did anyone try to stop it? Did it respond to the "green light" call? Cornelio Gauna welcomed us. We had traveled 2000 kilometers and interviewed many people, except for him. "When did the aircraft appear?" "Last July 23rd," he said, "between 13:15 and 13:35 hours approximately. An "unknown" aircraft flew over this airport, for which I am responsible. Its characteristics did not resemble those of any civilian or military machine operating at this airport to date. It was clearly not a UFO, but a conventional device that avoided detection. It did not fly over the tower or the air station, making it visible from underneath, and it did not answer calls from radiotelephony or visual signals." He stops and lights a cigarette, and looks outside. He seems to be weighing every word. There’s a file in front of us that keeps the secret. However, Gauna's cordial demeanor banishes all fears. He's there, doing his job. We feel, dear reader, that his words were very sincere. 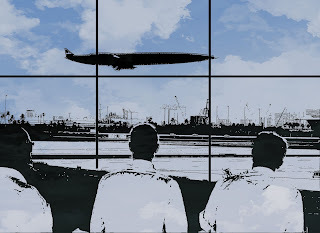 "When no contact was made with the tower," he continues, looking out at the landscape, "and by flying over the airport, the aircraft had already committed a violation, since any aircraft that flies over the control area of an airport must, necessarily, make radio or visual contact in order to request the corresponding authorization. This is to avoid collisions, informing other aircraft that may be operating in the area, advising them of its location and vice versa." We asked him about the aircraft. Was it truly a regular airliner? "By flying so low (70 to 150 meters) at a distance of 5 to 10 km from the runway, its maneuvers could only be seen sideways on. No symbol identifying its nationality could be seen on the fuselage. This identification was also impossible to see as it flew parallel to the runway on its descent, as though making ready to land. But it continued the same route until it vanished into the nearby hills. Subsequently, eyewitnesses claimed having seen it flying over the local air club, which just so happens to be located on the same flight path it was following when it vanished. Did that airplane ever return? "Minutes later it reappeared following the same flight path, that is to say, from the West-Northwest, retracing the trajectory it followed when it vanished. It flew parallel to the runway, this time on its left, and near the El Condor ranch. That's where it made a full turn (nearly 360 degrees), very steep, finally vanishing into East-Southeast. It had a narrow body, trapezoidal wings, very broad at the root, with two turbines nearly joined together on both sides of the fuselage, yet not making the typical sound a jet, but rather a nearly-inaudible whistle. It was silver, with its tail section and bow painted black or dark blue. It was rather large, about the size of a DC-6. Those who saw it said it had no windows. That's all we've gathered." And that's what the Bariloche airport director knows, and what we learned from his words. Now who's responsible for informing? "The background information of the aforesaid incident is with the Argentinean Air Force Supreme Command, the higher aeronautical body in charge of the case," Gauna said. So we left, feeling satisfied. We had managed to pierce the veil of silence and have a true image. Eyewitness accounts were abundant and it was possible to make a reconstruction. All that was needed was a final conclusion and descriptions of the device by those who managed to see it. 1) It was highly maneuverable. 2) Able to make 90 and 360 degree turns. 3) Constant low altitude and speed. 5) Speed between 120 and 250 kmh. 7) Green light signals were aimed at it. It did not respond. It gave out a white flash (which means "return to your starting point" on the ground, but nothing in the air). It is unknown if this flash was a response or a solar effect. These characteristics, according to experts, run contrary to the laws of aerodynamics. A jet cannot fly so slow and at that altitude without powerfully increasing the push of its turbines. Otherwise it would fall due to a lack of lift. Add to this the turns it made, which are uncanny for a conventional machine. What does all of this mean? Evidently, that there is something in the sky watching us, and it will eventually be among us. Thus ends the investigation carried out by Alejandro Vignati. He interviewed nearly all of the witnesses, including airport administrators, technical and managerial staff alike. However, despite the fact that the viewers of the strange craft argued that it was a commercial airplane, yet one they could not identify, the local press at the time made hay with the sighting. Hector Anganuzzi's "History of Flying Saucers in Argentina" appeared in 1976 and provided additional details regarding eyewitness statements and the involvement of the Air Force. We learn that in July 1968, Cornelio Gauna (the airport director) reported to Buenos Aires, to the Argentinean Air Force's quarter, in order to provide a report on the event. It even mentions that he was there for an entire week. Following the meeting, in a hastily convened press conference, he said: "All hypotheses suggesting the presence of a UFO must be undermined." He added that a photograph was believed to exist, taken by a tourist from the city of Rosario (we shall examine this claim, as no one ever saw this photo published in the media). "Based on the investigation performed as result of a fly-over by an unidentified craft in the vicinity of the Airport of San Carlos de Bariloche on June 23, at approximately 13:30 hours, it turns out that this aircraft was a USAF RB-57 operating on a scientific mission from the El Plumerillo base in Mendoza. The aforementioned aircraft's flight constituted a violation of our country's air traffic standards. For this reason, and due to delays in getting to the bottom of the matter, the corresponding measures have been taken." As I mentioned earlier, I said that we would return to Gauna’s statement regarding the publication of a photograph. Luis Eduardo Pacheco, administrator of Rosario Watchers, one of Argentina’s earliest UFO mailing lists, published the photo as the one obtained by a tourist from Rosario, a city of which he is a native. Researcher Vicente-Juan Ballester Olmos of the FOTOCAT site took the photographic document and followed up on case: “At the website of Argentinean researcher Luis Eduardo Pacheco, at a link that is currently unavailable, there is extensive information about it, including the photo of a landed UFO next to the airport’s facilities. 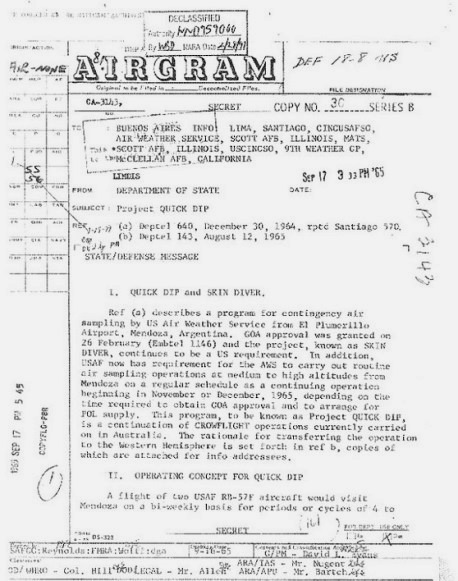 Curiously, the event is dated 1974 rather than 1968, and it says that the Argentinean Air Force issued a communiqué on 15 September 1968 reporting “a fly-over by an unidentified aircraft over Bariloche” being due to a Canberra RB-57 belonging to a USAF squadron operating on scientific missions from the El Plumerillo Base…” Regardless of the actual facts and their explanation, my purpose here is to certify that the photograph associated with this event is hoaxed and that it bears no relationship to any sighting at that airport. In fact, J.P. Gonzalez of the Fundación Anomalia has discovered that the photograph, which has undergone laboratory analysis, corresponds without a doubt with the Avrocar, the saucer-shaped Canadian craft that was tested with little success and scrapped in 1961. On 16 November 1957, General Aramburu made known at 19:40 hours that elections would be held on 23 February 1957 and that the transfer of power would occur on May 1st. At the end of 12th Aeronautica Week , the ties between La Libertadora and the United States experienced their best moment. Gone was the Perón governments “third position” foreign policy that so troubled the State Department’s interventionist designs. As a sample of this, Decree 4161, Article 1, forbade “the use of images, symbols, signs and expressions that were representative of Peronism, including a list of words among which “third position” could be found. Those events of November 1957 were the first to become known as State policy. Years before, there had been endless secret “cooperation”. 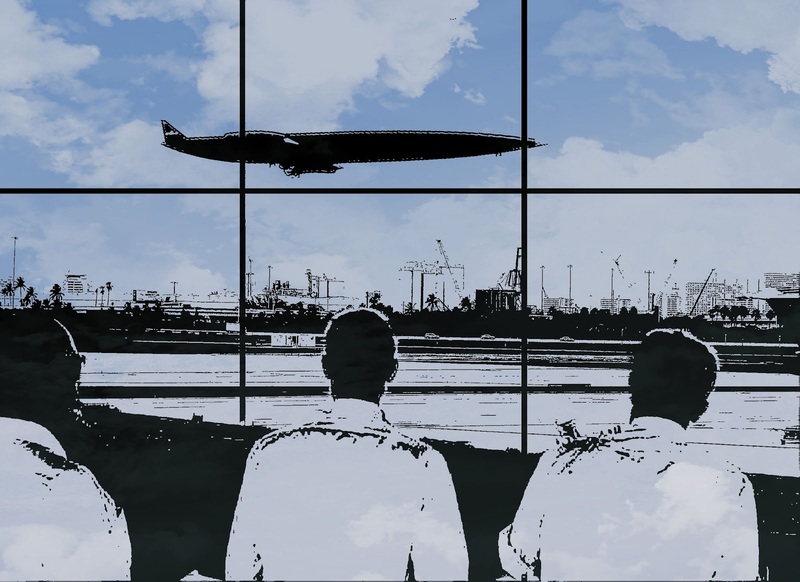 So it was that following the gigantic display of military might by the Strategic Air Command at Ezeiza Airport, the CIA – under the leadership of John Foster Dulles – managed to get Aramburu to approve the development of “Project Crowflight” in the country. Thus, Argentina was the first nation to offer its territory to the Central Intelligence Agency for use as a strategic aerial espionage base. On November 11, 1958, three U-2 spy planes reached Ezeiza with all of their civilian and military personnel. Six months later, the secrecy surrounding the U.S. mission was lifted. On 18 March 1959, the first presentation of the Lockheed U-2 “Dragon Lady” was made before the world press. During the ceremony, Maj. Richard Atkins remarked on “atmospheric research”. Finally, the chief of mission, Col. John Shidal, reported that the flights would last a total of 18 months. The mission would be a joint operation with NASA. Dr. Arturo Frondizi was elected in February 1958. The “Crowflight” missions continued to be carried out throughout his term, until May 1960. The Clarin newspaper reported on Friday, May 13, that three airplanes had arrived at Ezeiza to continue with Operation Crowflight. These aircraft were U-2 Dragon Ladies. On May 1st, one had been downed over the USSR and its pilot, Francis Gary Powers, taken prisoner. Tensions between Moscow and Washington reached critical levels. The U.S. espionage scandal over the USSR, using U-2 aircraft, prompted Arturo Frondizi to suspend the Ezeiza-based Operation Crowflight. Only days from the U-2 incident, the U.S had gone to high alert, expecting likely Soviet reprisals. There is no explanation for why the head of the nuclear arsenal should have been giving “lectures” around Buenos Aires, even less that so many Pentagon scientists were with it. There are still fewer explanations as to the delegation of U.S. Army military instructors. a) The operations performed at Ezeiza were “restarted” under a new name. b) Two new projects would be a continuation of the first one. 1958’s “Crowflight”, whose new approval was granted by the Argentinean government on 26 February 1960. Here we can see that the Aramburu Dictatorship initially approved these operations, and secondly, that they were ratified as soon as Frondizi had assumed office. c) The two new projects would be carried out of Mendoza’s “El Plumerillo” airport under the names “Quick Dip” and “Skindiver”, respectively. e) Given the date (17 September 1965) operations were authorized under the presidency of Arturo Illia. The U.S. Taskforce consisted of 34 aircraft, 350 pilots, a mobile control tower, portable radar and a large civilian and military contingent. The “stars” were six giant B-52 bombers. The main craft had been designed to penetrate Soviet airspace for atomic bombing. But a test was necessary, with a demonstration of the Strategic Air Command’s ability to deliver a mortal blow in the event of a nuclear exchange. The operation was dubbed “Quick Kick” and Buenos Aires was chosen. The enormous strategic bombers were refueled in-flight, proving they could reach Moscow with an atomic reprisal. What was never said is that there had been a fly-over of [Buenos Aires] by several aircraft conveying an arsenal of nuclear weapons. The spy planes (U2 and RB57AF) participated in “Operation Crowflight” and “Quick Dip”, based at Ezeiza and El Plumerillo, under the guise of NASA operations, from 1958 to 1971. The operation grew, and in September 1965, a decision was reached to conduct atmospheric sampling in the Mendoza area. 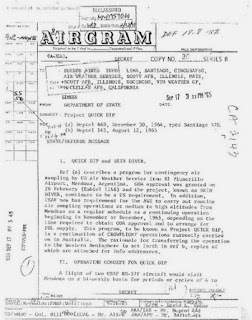 Authorization was sought through the embassy to station two RB-57Fs sporadically at El Plumerillo, which would officially take air samples for meteorological research. This operation was presented as a continuation of “Crowflight”, which was still taking place in Australia at the time. The idea was to have a couple of those airplanes, based at Kirtland AFB in New Mexico, to fly to Argentina every two weeks, conducting sampling for four or five days between Mendoza and southern Santa Cruz province. For each flight cycle, ground personnel and equipment was transported from Panama’s Albrook Base, employing USAF planes. The ground equipment included aeronautical, communications and oxygen gear, with a pick-up truck especially outfitted to prepare pilots for high-altitude flights with pressure suits. Tractors for moving the planes, as well as other ground vehicles, formed part of the shipment. The operation had to be self-sufficient. One of the guidelines was never asking the Argentinean Air Force for assistance only in case of emergencies, but this wasn’t always the case. The project was highly classified. According to the memorandum submitted to the local embassy, the cover story for the operation would involve radioactive fallout sampling. With the typical hypocrisy found in such documents, it is made clear that “this is the truth, of course”, adding that official reports on the subject would be published every so often, available to the Argentinean authorities if so requested. Some 25 people reached Mendoza ninety days before the first flight. But once their duties were over, the foreign staff – except for two custodians – was restricted to the vicinity of the flights. Each airplane had a two-man crew, lodged at hotels in Mendoza. According to the memorandum sent to the embassy, it was expected that their effects would not be go through airport customs. The Argentinean Air Force was asked for a free hand in all flights (the measurement and link-up flights), whose flight plans were secured according to current guidelines. 2,600 square meters were requested to station aircraft on the base, 465 sq.mt. storage space and 30 sq. mt of office space. Aside from logistical facilities for operating the aircraft (firemen, light maintenance, washing, meteorology) a tax exemption was requested for all matters involved with the operation. A hangar was installed in the rear of the facility. Some said it was built by them and was used for several purposes later on. Operations continued until 1972, apparently.